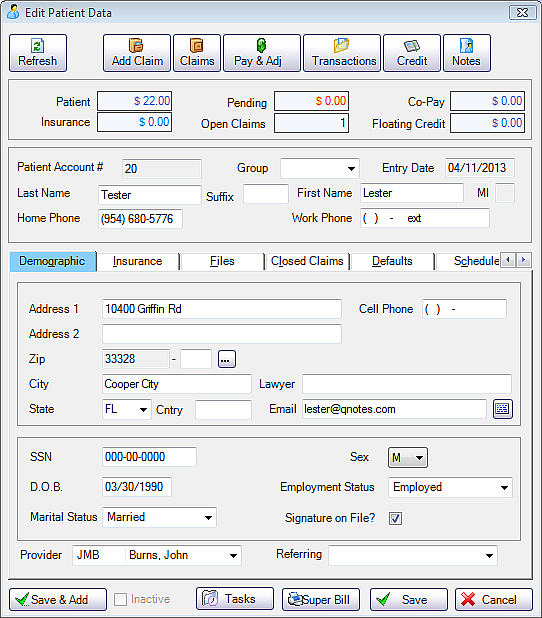 VertigaPM™ is our simple to use Medical Billing & Practice Management Solution. The software is easy-to use, just like all of our other products, and truly helps improve your office workflow. With a seamless integration with Quick Notes Portable Notes and PDQ for the Pad, life has never been easier. 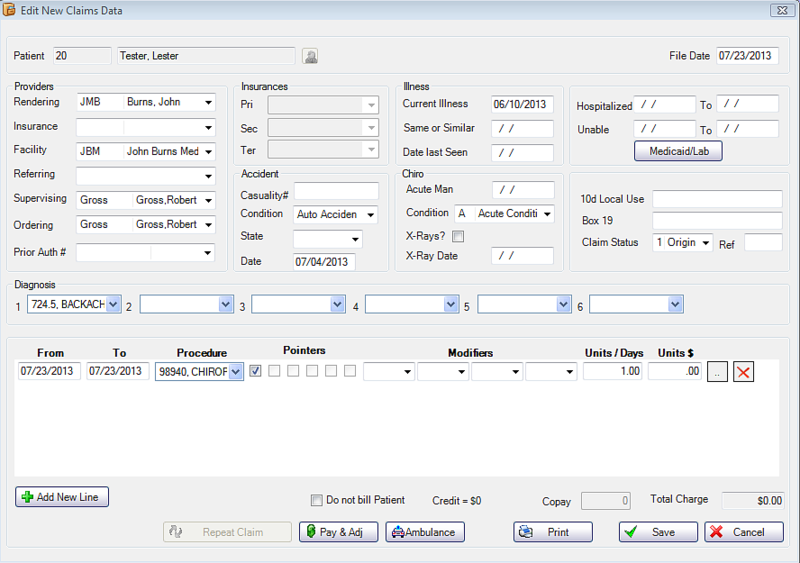 VertigaPM™ is very flexible, allowing you to quickly customize the most important features including scheduling, patient statements, fee rates, payments and adjustments. 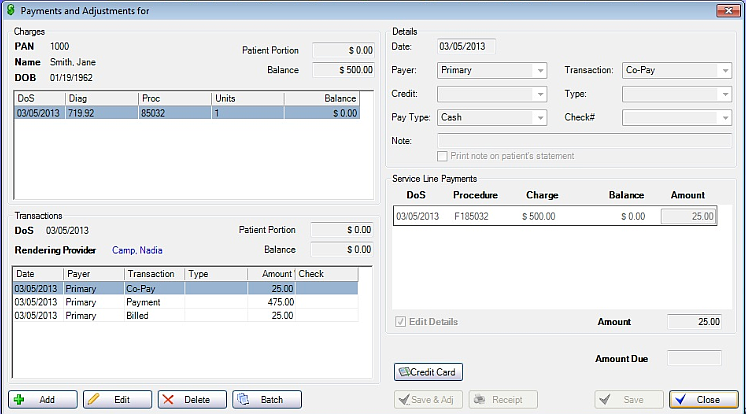 Electronic Medical Billing made "Easy" and "Fast"! Get patient claims "Done" in less than a minute. VertigaPM™ Electronic Medical Billing Software provides billing and scheduling software specifically made for all of our medical specialties, including Chiropractic, Podiatry, Dermatology, PT/Rehab, and many more. 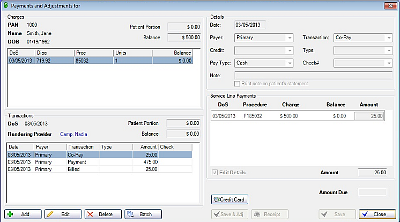 If you're looking for a simple, effective patient billing system, VertigaPM™ provides an affordable solution that contains all the financial, operational, and reporting elements needed to run a well managed medical practice. Improve overall workflow at your practice. Imrove operational savings with increased efficiency. Manage claims every step of the way. 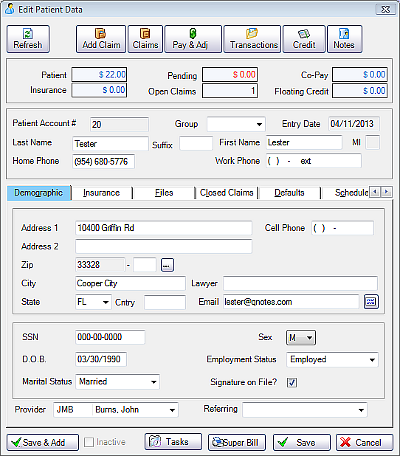 Organize your medical billing and staff. Eliminate claim errors before they occur. Identify and correct non-compliant coding issues. Stay current with changing billing and coverage rules. Shorten your overall reimbursement cycle. (DME) Durable Medical Equipment billing. Extremely user friendly, intuitive and easy to learn. Very easy to train the Provider and entire Office Staff. 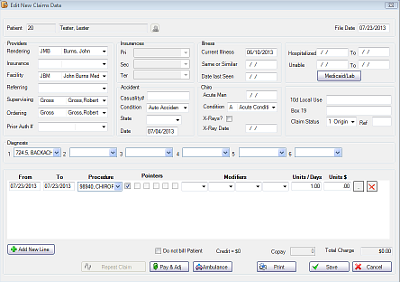 Integrated with QNotes EMR & PDQ Portable Notes. It's fast... Get anywhere in VertigaPM™ in just one click. Very affordable, with extremely low cost of ownership. Support/Training done from Napa Valley or Ft. Lauderdale. Billing/PM team consists of skilled, experienced billers.